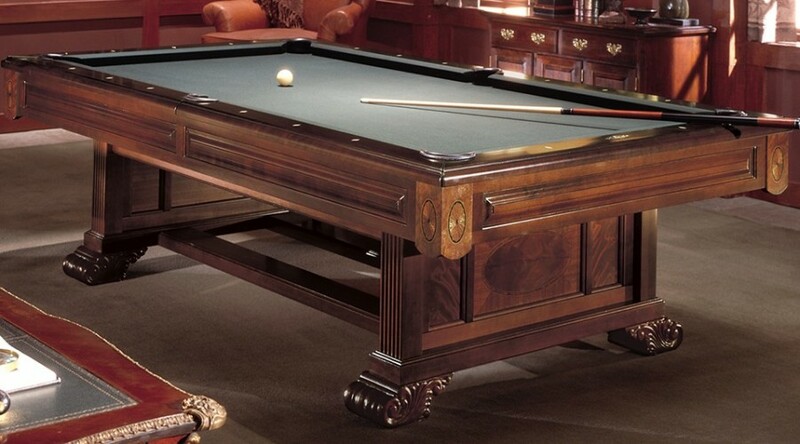 The exquisite Windsor sets a new standard for tables of extraordinary beauty. Inspired by refined European designs, this table is gracefully adorned with hand-carved trestles and elegant mahogany inlays. 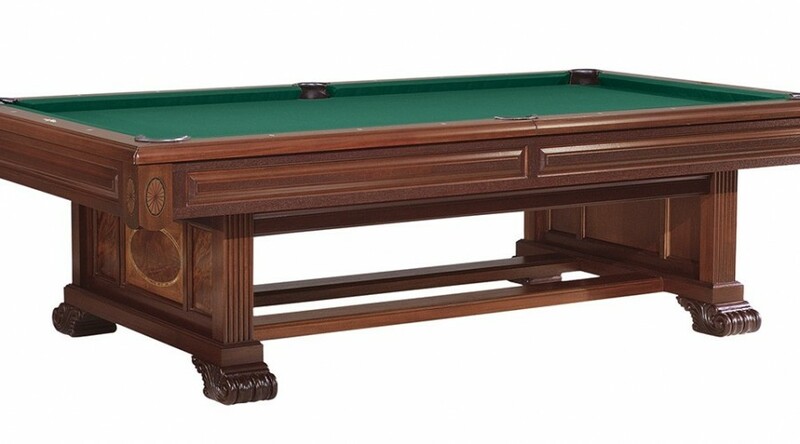 A matching chestnut-finish cue rack is also available.